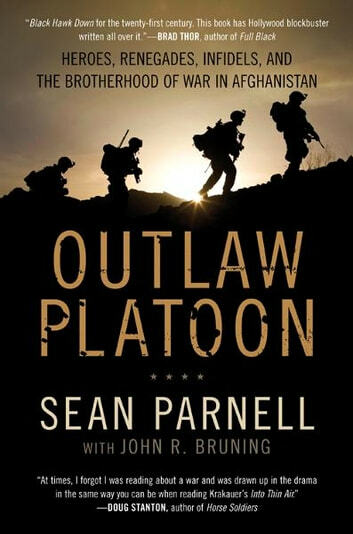 A riveting story of American fighting men, Outlaw Platoon is Lieutenant Sean Parnell’s stunning personal account of the legendary U.S. Army’s 10th Mountain Division’s heroic stand in the mountains of Afghanistan. Acclaimed for its vivid, poignant, and honest recreation of sixteen brutal months of nearly continuous battle in the deadly Hindu Kesh, Outlaw Platoon is a Band of Brothers or We Were Soldiers Once and Young for the early 21st century—an action-packed, highly emotional true story of enormous sacrifice and bravery. A magnificent account of heroes, renegades, infidels, and brothers, it stands with Sebastian Junger’s War as one of the most important books to yet emerge from the heat, smoke, and fire of America’s War in Afghanistan. This book, incredible! The events depicted in this book were something i did not see coming. The way Sean Parnell tells his story makes you feel like you are right there as one of the men from his platoon. What Sean and his men went through was unimaginable. The victories, and the horrors, brought to light through the words of someone who lived them, makes this book that much more moving. The sense of family and love that Sean has towards his men cannot only be seen throughout the book, it can be felt through the words written on the page; making every event in his book hit home. When you read about their victory, it makes you happy, when someone gets hit with a bullet, it makes you scared for them. When the ultimate sacrifice is made, you feel heartbroken. Through Sean's words, you live through everything he went through. 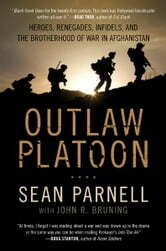 I feel honoured to have read this book, and learned Outlaw Platoon's story. My thoughts and prayers go out to all those lost, and to their families. Sean- thank you for your service, and for bringing the actions of your platoon to light through this amazing book. I know you most likely wont ever see this but you changed my life and i feel honored to have read your story, thank you. A very good book that gives a good in site to the real war in Afganistan. It is fast moving which keeps the reader interested. Most of the military books I've read have been on special operations. This book tells of an infantry unit in Afghanistan. Wow! These men endured much for our country. Great read. I enjoyed reading this book on my vacation. I had a very active vacation but at every quiet moment I had to pick up where I stopped. I could sense the emotion and action. Excellent read, great book. Sean Parnell did a great job showing how a unit develops and grows in combat. How it does become a extended family. Also explains clearly the horrors and stresses of combat. Great book .